Happy Monday everyone! We hope you’re having a great day and are looking forward to having a productive week ahead. We’ve got another post in our Meet the Team Blog series this morning. We really value our talented team of vibrant digital marketers, and we thought we’d introduce them to you. We’ve already showcased lots of our brilliant team members so far in the series, and this week we’re chatting to Naomi, who is part of our growing marketing team. Naomi McLaughlin, our Digital Content Marketer. Every day is different at Zymplify, which is one of the reasons why I love working here. The morning typically starts off with checking emails, checking our social media profiles and replying to any comments or queries. I’ll then create some social posts for that day and schedule them out. I could be in meetings with other teams at Zymplify, and seeing what content they need me to create. Creating content is always so different here at Zymplify. I could be writing blog posts one day, creating how-to guides the next or planning a webinar series. There is always so much to be doing so the days just fly by. I am a trained Journalist and was working at a local newspaper before I came to Zymplify. However, the world of print media is under threat and I knew digital was the way forward. 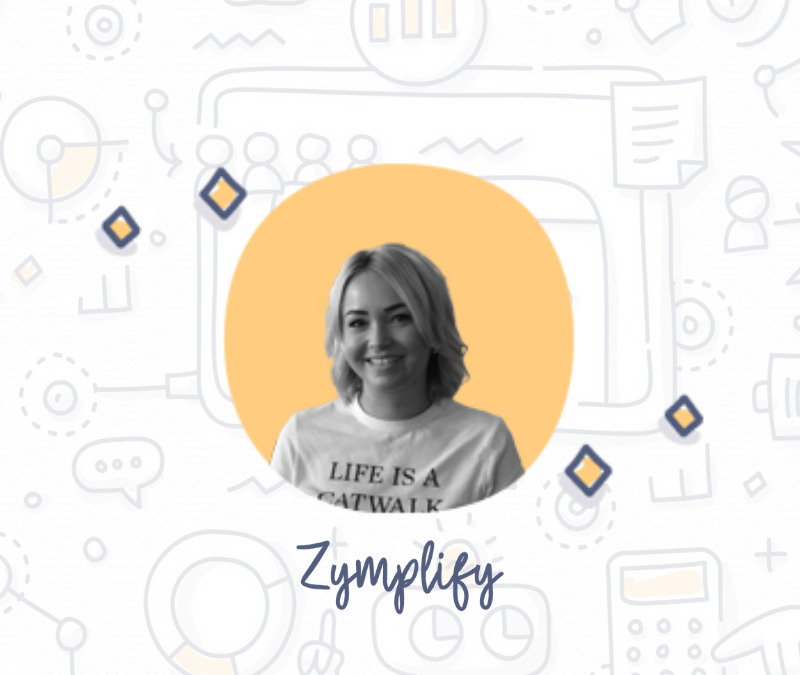 I took the leap and started at Zymplify, and I haven’t looked back. I studied a degree in Fashion Marketing, and then went back to study Journalism. That every day is different, and I love that you’re treated like you are your own boss. As long as you’re getting your work done, and it’s up-to-scratch, you’ll never have an angry manager looking over your shoulder. Keeping up-to-speed on changing trends can be difficult. With regards to content, you need to have attention to detail. You also need to be creative and willing to try new things to grab your audience’s attention. I always was an iPhone user but changed to Android last year. I miss my iPhone though, I hate to admit it. Shopping in store – I hate having to wait on them to arrive! If you want to be a part of the Zymplify team, check out our current vacancies here.